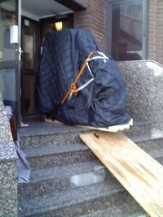 SW Piano Movers are based in South London. We deliver pianos and organs in London, and the South and West of England. 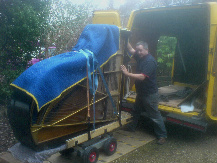 We have been moving pianos for more than 14 years. Call us to discuss your piano move or disposal. We move upright pianos and pianolas, organs, or grand pianos up to 6.5 feet in length. Whenever possible, the details and timings of your move will be carefully discussed by phone and confirmed by email. With a little flexibility, we can slot your long distance piano delivery into our schedules at a part load price. 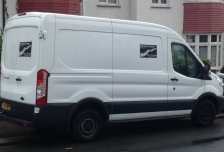 We organise delivery routes up and down the country, so we can collect from, or deliver to, anywhere in the UK. We work at weekends, which we find convenient for people who cannot take delivery during weekdays. Pianos are insured in transit from first to last touch (up to a maximum of £10,000). We also have public liability insurance cover. If you need to move a piano you have bought, or are tranferring a piano between friends or family, SW Piano Movers can help. We carry heavy covers and padded blankets, boards, ramps, piano shoes and skids in anticipation of difficulties and have the experience to move your piano with a minimum of fuss. We have large pneumatic tyred trolleys for easy movement over rough terrain, and experience moving pianos over unusual and irregular surfaces. Some recent examples include manoeuvres through sash windows, through a muddy orchard, over a ditch, over a rockery, and over a ploughed field. Planning these moves usually requires you to send in some pictures. This can be quickly done by MMS to 07958 575122. 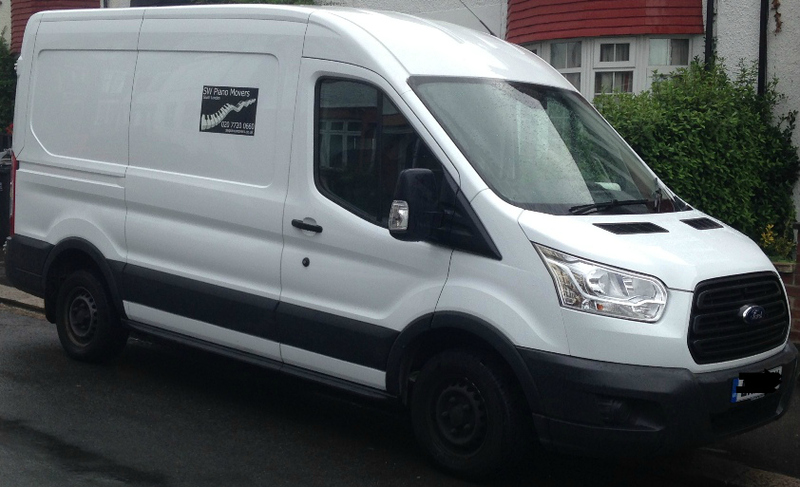 Although the van is likely to be part full of piano moving equipment, we may be able to transport other items together with your piano;- for example as part of a student move. If we did a good job for you - please come back and click this facebook 'recommend' button. Thank you very much! You can also write or see comments published on this site on our review page. We accept payment by cash, cheque or smart phone or online bank transfer. Please let me know if you plan to settle using a smartphone or online service before the day. Let Us Blow Our Own Trumpet! I never contract out work and personally plan and attend each and every job. I offer a skilled and flexible service to you - along with, excellent value. 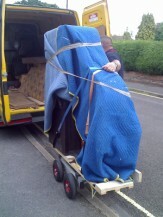 ensure that you arrange an experienced specialist piano mover to carefully plan your move. We will take care of your floors, home - and your piano!